College is in your rear view mirror, and now you’ve got the open road ahead! With the help of the Nissan College Grad Program, you take the wheel of your future. Get the best prices, don’t worry about haggling, and don’t stress about your credit history! You can even combine savings with other incentives we’re offering! So don’t wait, get started today! You don’t have to wait until you graduate to get the car of your dreams. Pull up to your graduation ceremony in style! Special discounts of up to $3,000 off MSRP and a 90-day deferred payment option for recent or soon-to-be graduates will have you headed in the right direction. Eligible vehicles include the Altima®, LEAF®, Rogue®, Sentra®, Versa® Note®, Versa® Sedan, JUKE®, and Frontier®[*]. Simple “No Haggle, No Hassle” buying experience. Pre-negotiated under retail pricing PLUS all applicable incentives. Receive one of the best available rates (even if you don’t have prior credit history). Graduation within 6 months or past two years from an accredited United States two or four year university, college, graduate school or nursing school. Students currently enrolled in graduate school are eligible. Present employment or future employment beginning within 90 days of financing approval. 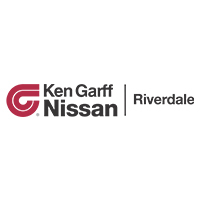 The Nissan College Grad Program is available on select Nissan models at this time. Incentives vary by Region. See your local Nissan Dealer for incentives specific to your geographic area on College Grad Program eligible models. Prices DO NOT include Destination and Handling charges, ICAP/RMP assessments, Dealer Documentation Fees, sales taxes, etc. Must finance through NMAC. Tax, title and license extra. Deferred interest added to contract balance and payable over remaining contract term. New purchases only. Subject to NMAC credit approval. Limited up to 60 month contracts. See dealer for details.